Deciduous perennial. Delicate blue green leaves are divided in three-parts. The flowers are unique in shape with spurs extending backwards from the front of the flowers. This variety has a colorful mix of blue, red, pink, white and yellow flowers with white centers held on slender stems above the foliage mound in the spring. 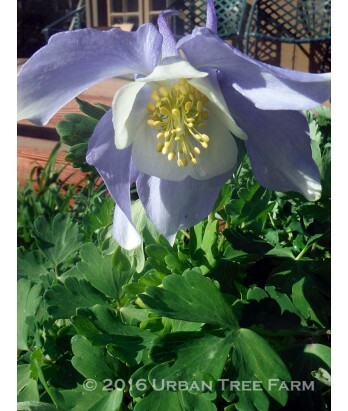 Columbines will re-bloom if seed heads are removed. If seeds are left on they may self-sow and should grow true to form if not influenced by other columbine species. Deer resistant. Moderate water needs once established. Hardy to 0°F.